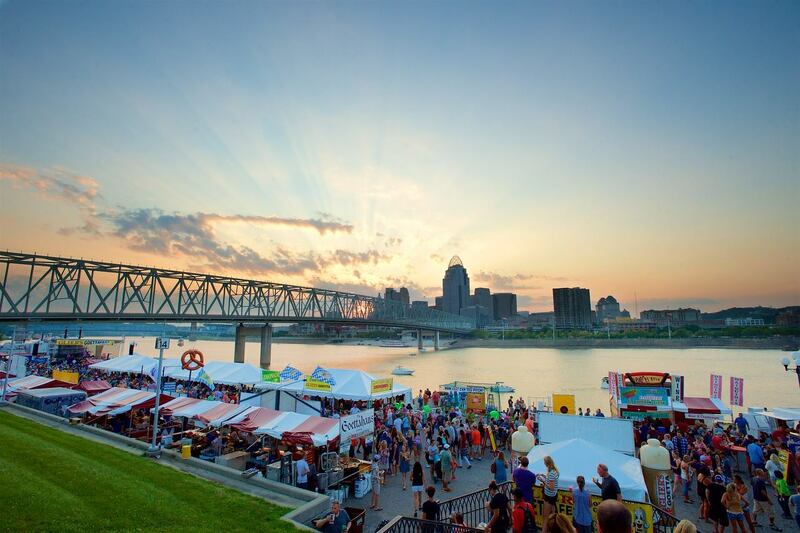 Thursday 5 p.m. – 11 p.m.; Friday 5 p.m. – 11 p.m. (Fireworks after Reds game); Saturday Noon – 11 p.m.; Sunday Noon – 9 p.m. The TOTAL Celebration Bigger than Las Vegas New Year's Eve. That’s what Glier’s Goettafest is to the goetta devotees of the world. A weekend stuffed from top to bottom with live entertainment, family-focused goetta games, and super inventive food, what makes it all so grand is the gathering of the goetta-lovin’ community who travels from all corners of the country, to decorate with festivity and joy Northern Kentucky’s Newport on the Levee at the breathtaking Ohio Riverfront. 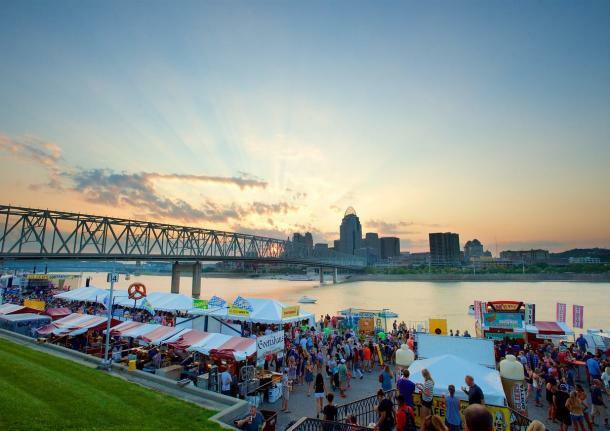 ALL Things Goetta Unlike any other reunion where the highlight is Aunt Mabel’s macaroni salad, the glory of this (Glier’s Goetta) family reunion, shines in bite after bite of clever cuisine laced with the crispy-creamy treat that brings this community together – goetta. In fact, it is only at Goettafest that the very best culinary craftspeople in the area set up shop side-by-side to flirt with the tastebuds of the faithful. From fudge to pizza, their goetta-based creations test the limits of goetta as an ingredient.